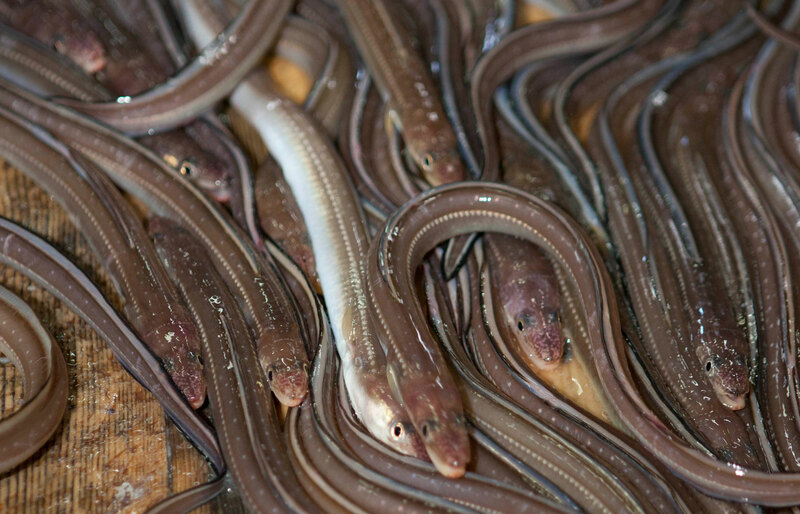 Our hakomeshi are made with natural, wild-caught anago (salt-water eel). The eel can be cooked in two ways that you can choose from: "Boiled anago" is recommended if you want to enjoy the soft and fluffy texture. "Broiled anago" is recommended if you want to enjoy the rich, grilled aroma. ①First, enjoy a few bites as it is. ②Try out various condiments, including onions, wasabi, sesame, yuzu, and peppers. 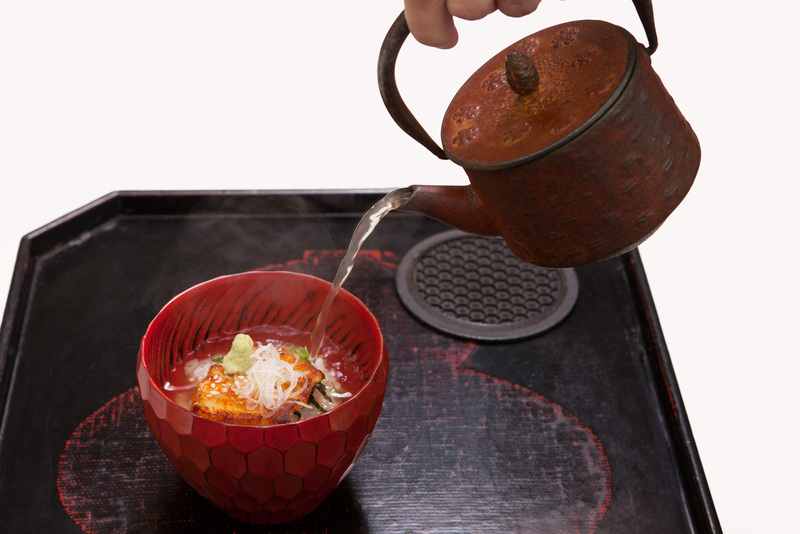 ③Near the end, pour anago-dashi (soup) over it and enjoy it as a type of ochazuke (rice in hot tea). 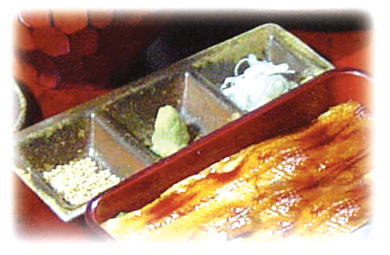 Anago's fat content is about half that of fresh water eel. Studies regarding anago's constituent fatty acids suggest that the fish is richer in unsaturated fatty acids (EPA, DHA) than saturated fatty acids, which are responsible for increasing cholesterol levels and neutral fat. Among the unsaturated fatty acids it contains, anago is especially rich in oleic acid, a type of fatty acid commonly found in vegetable oils. As such, it leaves a pleasant and light taste in your mouth, while packing splendid health benefits.